(Geneva, 22 June 2017) In an important UN resolution adopted today, states have reaffirmed the urgent need to address the potential negative impacts of the commercialisation of education on human rights. The resolution, which was adopted by the UN Human Rights Council by consensus, urges all states, 'to put in place a regulatory framework for education providers, including those operating independently or in partnership with states, [...] that […] addresses any negative impact of the commercialisation of education' (para. 2.e). It also calls on states to: 'regulate and monitor education providers, and to hold accountable those whose practices have a negative impact on the enjoyment of the right to education' (para. 4), while, 'recognising the significant importance of investment in public education' (para. 3). This resolution comes against the backdrop of a massive growth of private education providers in developing countries over the past 15 years, sometimes with the support of donor states and agencies, which has raised multiple human rights concerns. 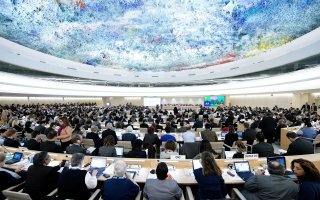 'This UN resolution confirms once again that the current global trend towards the commercialisation of education constitutes a major human rights risk that urgently needs to be monitored and addressed. Otherwise, the danger is that we will see inequalities and tensions withinin communities reach an unbearable level. This is not about opposing private schools; it’s a recognition that an adequate regulatory framework is essential to ensure that children and parents are not abused by unscrupulous actors, and that there’s no other way but to invest in public education to address inequalities', said Sylvain Aubry, legal and research adviser at the Global Initiative for Economic, Social and Cultural Rights. This resolution reaffirms a landmark resolution made last year by the Human Rights Council, demonstrating the urgency and increasing consensus in regulating and monitoring private education providers. This strong statement is very welcome in the current context where an increasing number of multinational companies operate schools that pose a challenge to national regulations in developing countries. It is also very relevant to reflect on the development policies of donor states, as some of them, such as the UK, have been supporting commercial chains of schools, even when it undermines human rights', said Delphine Dorsi, executive coordinator of the Right to Education Initiative. This year’s resolution includes a new element that urges states to assess the quality of education, 'including through independent assessments'. This wording was added because the independent scrutiny of private schools has been impeded several times in recent months, including the arrest of a researcher in Uganda and independent research being stopped in Liberia - resulting to a protest letter signed by over 30 leading academics.